In the year 1492, a Portuguese ship trying to make its way to India missed its destination by thousands of miles. It arrived on the shores of an island in present-day Bahamas, and established an everlasting link between the people of Europe and the Americas. The ship’s captain, Christopher Columbus, has become one of history’s most important figures. The date of Columbus’ arrival is today celebrated as Columbus Day, but is this a tradition worth continuing? The reason for celebrating Christopher Columbus is that he discovered America, an act that had profound effects on the world history. There is one issue with this, however. 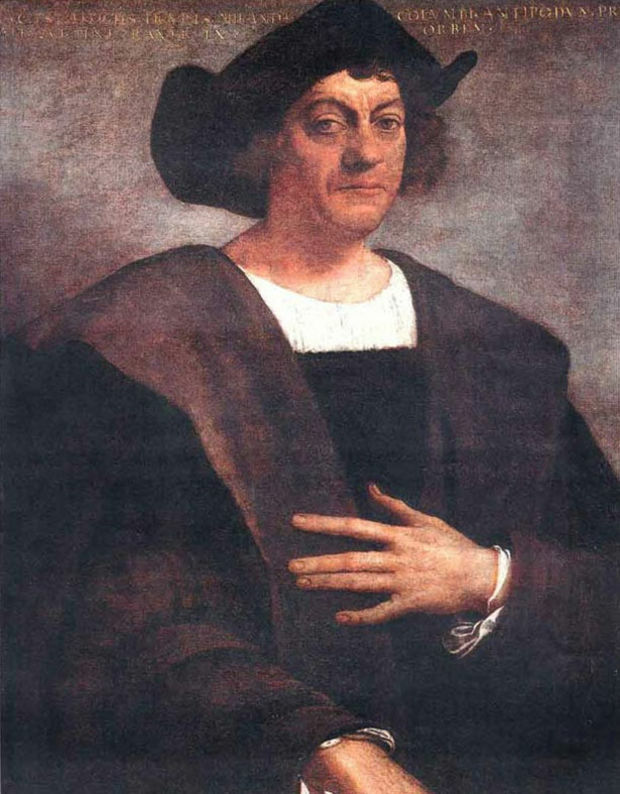 Can Christopher Columbus truly be called the rightful discoverer of America? The continent was already inhabited by millions upon his arrival. These were people that had lived there for countless generations, spanning back several millennia. When calling Columbus the discoverer, it is meant that he was the first European to travel to America. Most people know this, of course. What is not as well-known, however, is that Columbus was not even the first European to find America. Almost 500 years before Columbus voyage, a Norse viking sailed westward from Greenland. His father had been a successful man, having established a thriving settlement on Greenland, and he had great expectations to live up to. It is believed that the son arrived at Newfoundland, and was then the first European to ever set foot in America. His name was Leif Eriksson, and he called the land he found Vinland. He established settlements there, but left back home to Greenland some time later. The descendants of the settlers are believed to still be around today, as there is evidence of a Norse settlement in Northern Newfoundland. Like Christopher Columbus, Leif Eriksson was awarded his own public holiday. Leif Eriksson Day is marked every year on October 9, coincidentally only a few days before Columbus Day. Would Leif Eriksson Day be a decent replacement for Columbus Day? He was the real discoverer of the continent (from a European perspective), but his visit did not lead to a lasting link between the people of America and Europe. With Columbus, a permanent bond between the continents was created, and in that way the celebration of Columbus would make more sense. But is Columbus a man worth celebrating? It is no secret that the discovery of the American continent ushered in an age of exploitation of the indigenous people of the Americas, and Columbus’ expedition was no exception. Under Columbus’ supervision, the American natives suffered violent oppression and enslavement. In 1494, Columbus sent a ship with captured slaves back to Spain, the first slaves to be sent across the Atlantic Ocean as part of the slave trade. In light of this, Columbus could be seen as the instigator of the transatlantic slave trade, which lasted for the next four hundred years. Celebrating a man responsible for such wrongdoings can leave a poor taste in anyone’s mouth. The first Columbus Day celebration was held in New York in 1972 as a commemoration event for the 300th anniversary of Columbus’ historic landing. For the following years, Columbus Day kept being celebrated with annual parades and ceremonies in Italian and Catholic communities, until it was granted the status of a federal holiday by President Franklin Roosevelt in 1937. Since then, the holiday has declined in popularity. Four US states (Hawaii, South Dakota, Alaska, and Oregon) do not recognize the holiday anymore. Hawaii instead celebrates Discoverers’ Day, not commemorating Columbus but the discovery of the Hawaiian Islands at the same date. South Dakota has replaced the holiday with Native American Day, shifting the focus from the European settlers towards the people that has always been in America. The city of Berkeley in California has renamed the day Indigenous People’s Day since 1992, a move that has been imitated in other US cities such as Seattle in Washington and Dante County in Wisconsin. Do you think Columbus is a man worth celebrating? Cuddy Arena – Basketball season only comes once a year, but when it happens it comes at full force. 30 Games packed into one season, playing in different arenas across the eastern region, getting a bid to the big tournament: It all begins at Midnight Madness. Midnight Madness is a kickoff held at midnight on the eve of the official day that both men’s and women’s basketball teams around the nation are allowed to legally practice for the first time of the year under NCAA regulation. On the east coast, Midnight Madness is not only a celebration of the first practice, but it is also a tradition. “Midnight Madness is an opportunity for the school to come out and meet us. It gets us pumped for the season. It’s just a fun atmosphere to be in.” said Zeriq Lolar, a sophomore forward from Orlando, Florida. 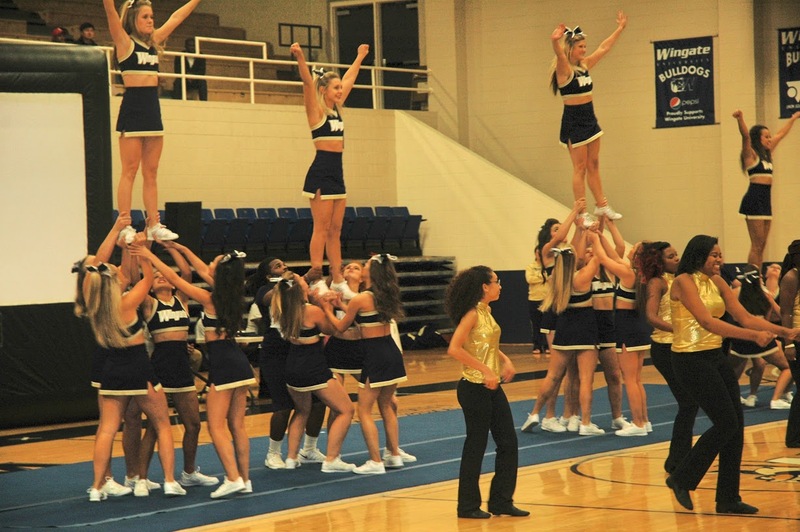 This tradition has been around for many years here at Wingate University, and it is becoming more exciting every year. “My favorite thing about Midnight Madness is the player entrance’s. Players actually take the time to think of creative ways to come out when their names are called,” said Isiah Cureton, a junior forward from Waxhaw, North Carolina. 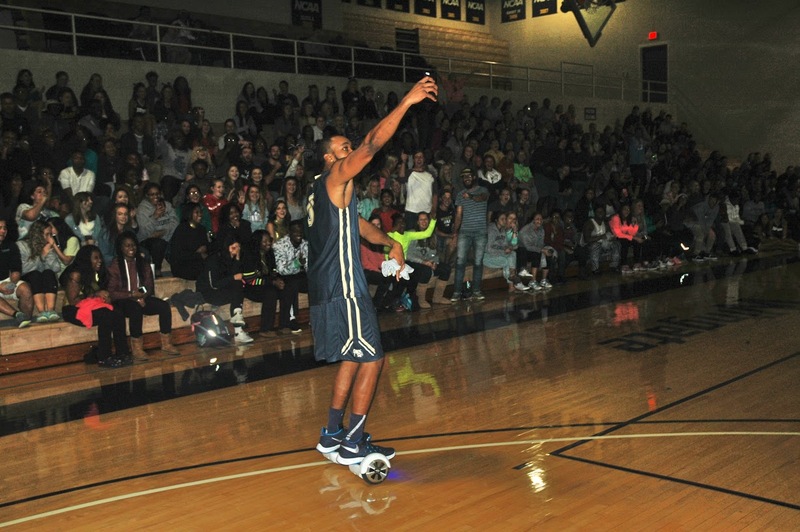 Whether it is the cheer and dance team performing a sneak peak of their Nationals routine, the creative player entrances, or catching free Wingate gear, Midnight Madness is a night for the Wingate basketball teams to enjoy themselves and also get the students and faculty excited for their upcoming season. “It doesn’t just mark the beginning of basketball season for the players, but it also marks a new season for cheerleading. It’s the first time we perform in front of the students, it’s a transition from cheering for football to basketball, and we get to see the new teams that we will be cheering for,” said Cassie Barringer, a senior cheerleader from Laurinburg, North Carolina. The men’s first basketball game will be against Limestone College on November 13th at the Wheeler Center located in Belmont, North Carolina. The women’s first game will be an exhibition game against the North Carolina Tar heels. This game will be on November 4th at Carmichael Arena in Chapel Hill, North Carolina. Walking through the gates of Scarowinds is the equivalent to stepping into Disney’s famed Halloween movie, “Halloweentown.” Except this is the MTV version, where the friendly ghosts and goblins seem to have taken the wrong turn and became the receivers of endless torture and mad scientist experiments. For a couple of weeks throughout the year, usually spanning from the end of September to the end of October, the family amusement park, Carowinds, is less concerned with high action thrills than it is with providing scare-seeking chills. Scarowinds is an adventure within itself, but if you are looking for a little added entertainment, do what I did. Find ten of your closest, loudest friends to partake in the adventure with you, and you will be in for an interesting time. “As soon as you step in the park you know it was a bad idea but you’re still excited to see what’s going to be there when you turn the corner,” said Wingate junior Abby Saehler. Whether you are a self proclaimed scare enthusiast or you get dragged to Scarowinds by your persistent friends, the variety of attractions is broad enough for everyone to find a scare to their liking. There are four main types of attractions: mazes, rides, scare zones and shows. There are seven different mazes, each with a different theme to cater to each individuals’ worst nightmare: a psychiatric hospital, creepy corn maze, a toy store where the toys are created with human parts, a fun house filled with demented clowns, the land of the zombies and a slaughterhouse where homeless people are mixed in with the livestock. Mazes are not the only place that you will see monsters. Every walkway is transformed between rides into “scare zones”. Employees lurk around in full costume and sneak up on people before venturing through their next maze or riding the next roller coaster. Carowinds is usually a go-to family friendly option in the Carolinas, however the coming of the fall season brings with it something wicked in the air. 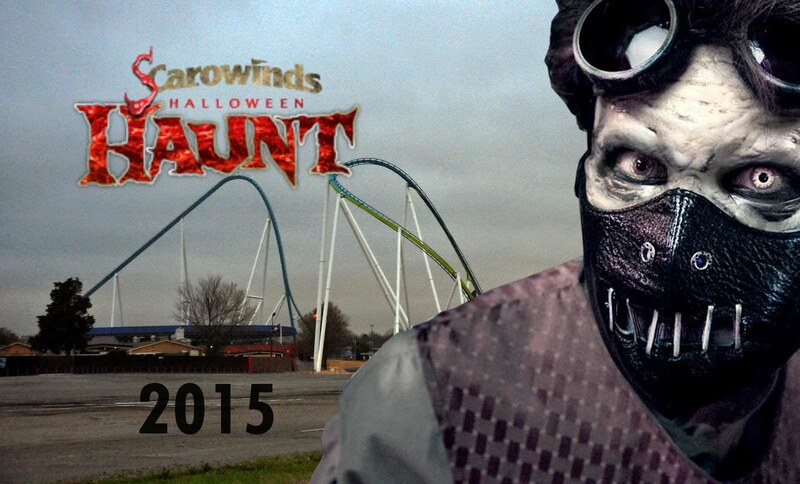 Scarowinds becomes the place to be for horrors and haunts alike. Whether you are interested in riding North America’s longest roller coaster or searching for a scare, the opportunities for thrills are endless at Scarowinds. 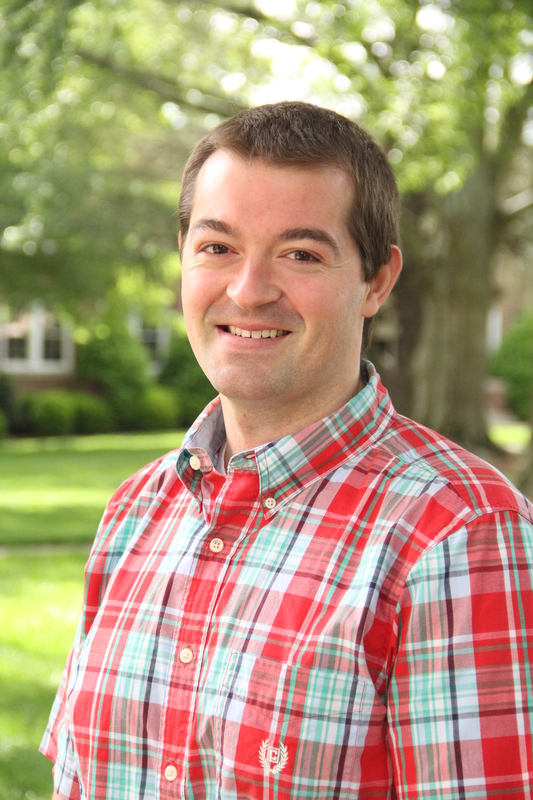 Dr. Grant Thompson, a physics and astronomy professor at Wingate University, grew up in rural northern Missouri. He saw the sky at a whole different perspective than someone who lived in the city. Dr. Thompson was able to see all the stars that light up our night sky. He was able to hear the wind sing within the trees, and watch nature thrive all around him. As he grew up, his love for stars and physics became more obvious. He attended the University of Missouri and studied astronomy and physics. He went on to further his education at the University of Kentucky where he received his Masters and Ph.D. in physics and astronomy. While studying at the University of Kentucky, he met his future wife, Kristen Thompson. She also shares a love for the sky and stars. Kristen has her Ph.D. in physics and astronomy and teaches at Davidson College in Davidson, North Carolina. How could two people be so perfect for each other? I spoke with Dr. Thompson on what a typical conversation is like between a married couple who both have their Ph.Ds. in physics and astronomy. It is not common that you come across a couple who have such a prestigious background. “We talk formulas, and we solve equations out loud. Sometimes we will even create a situation or problem and try to figure it out together.” said Dr. Thompson. He admitted that some days he thinks his wife is definitely smarter than him, but others he feels like it his day to shine. Most importantly, they love being outdoors and enjoying the fresh air. As a college professor, Dr. Thompson said his favorite part of the job was seeing the pure awe and shock of students and the community. “I love the ‘Really? No way, shut up?’ reactions and seeing the look on students faces when the wonder of the universe sinks in for the first time.” said Dr. Thompson. His goal as a professor is not only to educate students, but he wants all of his students to appreciate nature. He wants them to be aware of the universe and how really small we actually are. “I want my students to stop looking down, and to look up instead. Space, physics, and knowledge are all around us. I want people to understand how the universe works. They will remember it for the rest of their lives.” said Dr. Thompson. Ever heard of the quote, “change is inevitable, why hold onto what you have to let go of?” Well, if you have, then you know that change sometimes can be difficult, but it is bound to happen, so you learn to live with it. That isn’t always the case! For some students at a local North Carolina university, change is just what has occurred and the results of which are astonishing. Students who attend Wingate University just outside of Monroe, N.C. have just been bombarded by a new lunchroom modification; the unlimited meal-plan. Their previous meal-plan options have been stripped away, and they are now forced to live with only one choice. Now, I’m sure you’re thinking “unlimited meals? Why are they complaining?” but if you knew what they were losing in order to have unlimited access to food, then you would feel the exact same way. In exchange for more meal swipes in the dining hall, the students are being deprived of their only other option for food on-campus; bulldog bucks. If you’re not familiar, Bulldog Bucks is the funds that students are given along with a meal-plan that they can use at other on-campus food places, such as Subway and Einstein Brother’s Bagels. They are given an amount of these funds per semester, and depending on the meal-plan, they could have more or less bulldog bucks. Now, with the new unlimited meal-plan, students have been given less Bulldog Bucks and as a result. The residential students are fed up with the unanticipated change that has occurred and are demanding a call for action! Through their many complaints, you can see that the altering of what they were accustomed to has sparked an outcry. Students feel as if they weren’t included in these decisions that have been made and believe that their opinions should be taken into account before making such drastic amendments to what they know and love. During another interview, a junior student, Sarah Kelly, said “I feel as if the meal-plan is solely geared towards athletes. They eat more than the average person, so it is ideal for them to have unlimited meals. But, what about those students who don’t eat as much, it’s a complete waste.” Based on the two interviews, one can only conclude that students prefer the old way better. Through the many protests of the new meal-plan, it is easy to see how change cannot always be a good thing. Sometimes when adjusting things that were never issues to begin with, it can cause for unforeseen debacles and complications that could have been avoided all together. Everyone has their own definition of a campus safety officer. There has been controversy around Wingate about the need for campus safety. I shadowed a patrol officer during his night shift. We started the night by driving around campus and checking out parking lots to make sure all cars were safely parked for the night. Everything about the job seemed simple until he got the first call of the night. When he answered his phone with, “Campus Safety,” and the person on the other end started talking, the look on his face changed. When we got in the car, I asked him what the problem was and he said, “Someone’s water is dirty.” I laughed but then realized he was being serious. Yes, campus safety officers take maintenance calls. It was at that moment that I realized what really goes into this job; these men and women are more than just officers of the law. There were four qualities that stood out to me as I finished up the night shift with the officer: patience, understanding, helpfulness and caring. When it comes to being a safety officer, patience is a required attribute. From staying calm while an angry patron yells at you or just driving in circles around campus all night, officers are patient with the community of Wingate University. They are trained to be quick to respond to dangerous situations. If the most dangerous situation is figuring out why someone’s tap water is brown however, patience is your biggest asset. Safety officers must also be understanding. The levels of understanding change very quickly in this line of work. One minute we were listening to a woman complain about dirty water and the next we were racing off to help turn off a fire alarm at the Klondike. I was amazed at how quickly he changed his mind set and level of understanding. Every job, no matter what you do, requires you to do some form of work. The definition of “work” may vary, but you still have to do something productive each day. As a patrol officer, you are required to make sure the community of Wingate is safe. Most officers don’t care to elaborate on how much extra work they do for this community, but don’t let them fool you. They do more than you think. “I love to help people, even if it is the smallest, simplest maintenance job,” said the night patrol officer. What makes them great at their job is the joy they find in selflessly helping people in need. Finally, a safety officer is caring. In order to be patient, understanding and helpful, a safety officer has to genuinely care for the people he protects. it was clear that his care for Wingate students and faculty is genuine. I’m confident he would do anything to help and protect them. So the question is, “does Wingate University need campus safety officers?” Let me put it to you another way, “do you need your best friend?” Of course, you do. Without a reliable person to be there, you would fall apart. The same can be said for Wingate University. Our campus needs safety officers to help us get through the day and always feel safe.